With great sadness, Tommy Rendle VC Shellhole has to inform; 19345 Moth Pat Tate answered the Sunset Call on Friday 22 June 2018. 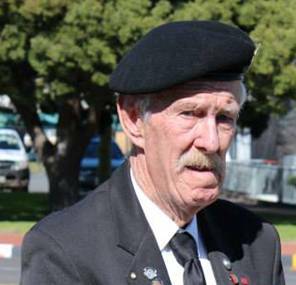 Moth Tate joined the Order during 1993 and served as Provincial Old Bill of the now defunct Cape Midlands Provincial Dugout for a number of years. Known as a diligent individual, Moth Tate was awarded the Certificate of Merit during February 2011. Even in retirement Pat still served at Shellhole level and he will be missed by all who had the pleasure of knowing. Sincere condolences extended to family and friends. MOTH Memorial Service will be held at Dawn Patrol Shellhole on Friday 29 June 2018 at 14H00.